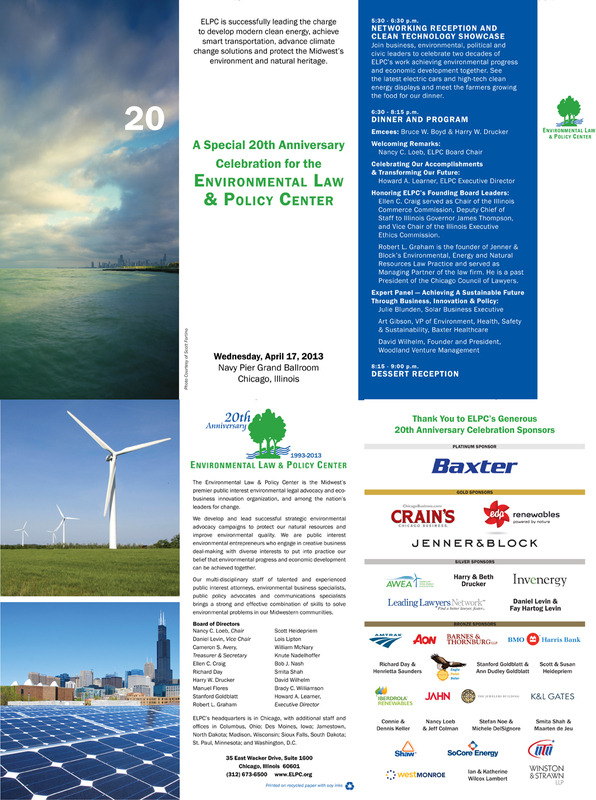 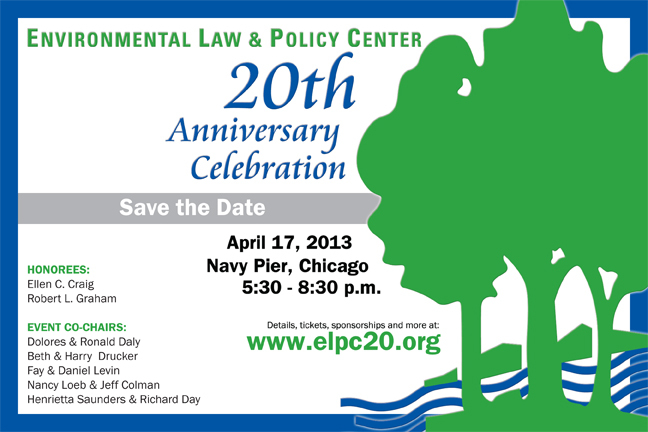 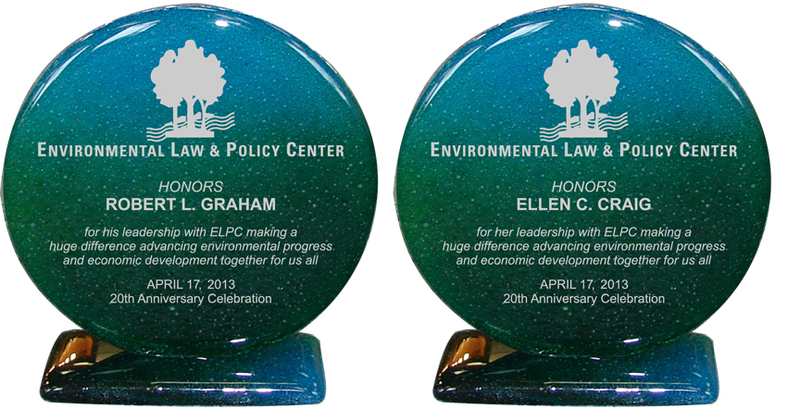 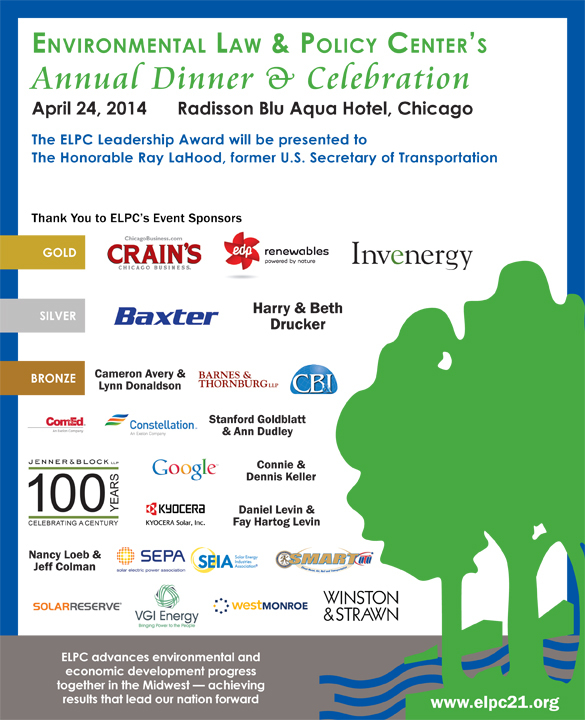 More than 600 of ELPC’s supporters, friends and colleagues gathered at the Navy Pier Grand Ballroom in downtown Chicago to celebrate ELPC’s 20th Anniversary on Wednesday, April 17, 2013. 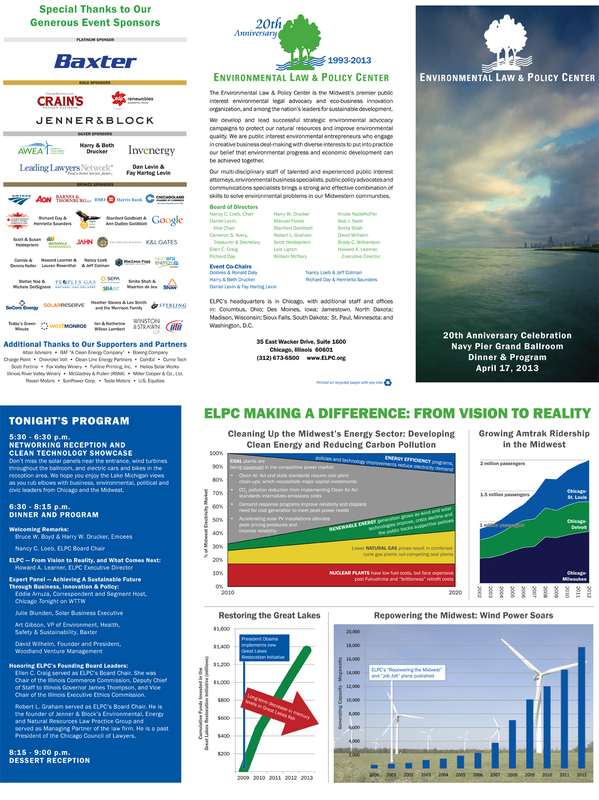 The event was dotted with fun videos, meaty presentations, a stunning solar walkway, wind turbines, electric cars and bikes, and a delicious meal with ingredients provided by local farms and sustainable food providers. 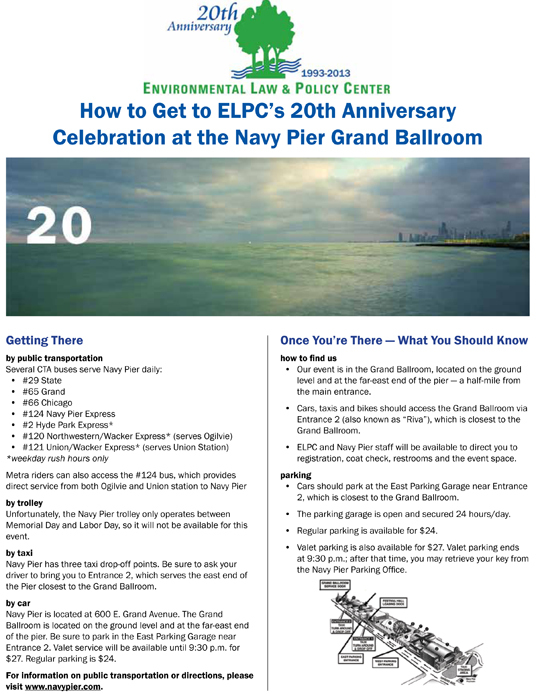 Posted in Advertisement, Event, Marketing Material, Video, WebsiteTagged advertisements, award, centerpieces, eblast, event, invitation, marketing materials, menu, postcard, program, save the date, signage, Video, Web Development, websiteBookmark the permalink.